Potfillers are the centrepiece of fine kitchens. Dual shut off valves for convenience. Two-piece articulated spout folds out of the way when not in use. Lita unites simplicity and elegance in one effortlessly sleek design. The pivot lever controls both volume and temperature with one movement. The pull-down sprayhead can be detached and extended to reach any area of the sink. The Lita Collection includes pull-down kitchen, pull-down bar and potfiller faucets in Polished Chrome and Stainless Steel to create a perfectly coordinated look in your kitchen. Wall-Mounted Potfiller in Polished Chrome Potfillers are the centrepiece of fine kitchens. Dual shut off valves for convenience. Two-piece articulated spout folds out of the way when not in use. 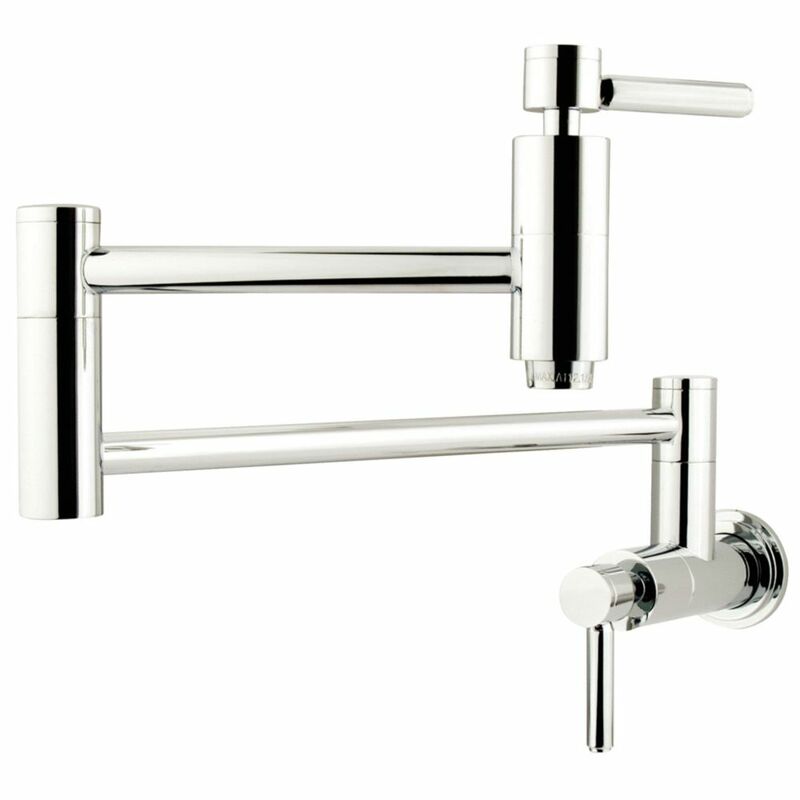 Wall-Mounted Potfiller in Polished Chrome is rated 4.8 out of 5 by 4. Rated 4 out of 5 by Chgomez from Great Product I need to install it to have a complete review. but T looks great. Can a reverse osmosis system be connected to this faucet?